Even the most carefully planned road trip needs to plan for unexpected and urgent stops. Whether nature calls, your passengers are getting hangry, or you find yourself dangerously succumbing to highway daze, taking time for a respite is crucial to a safe and successful road trip. Of course, some pit stops are more spur of the moment than others and the nearest gas station will do just fine. But, in order to keep your road trip mostly on schedule, it’s good advice to seek out rest stops that can fulfill multiple needs and conditions like food (both for meals and/or stocking up on snacks), bathrooms, gas, and green space for walking and running (especially if one of your passengers is of the furry, four-legged variety). “Look for stops that perform double duty: travel-service plazas, where all amenities are in one place, or rest stops with welcome centers attached,” advices Fix.com writer Amy Whitley. If you are unsure of what pit stops to visit, Whitley recommends seeking advice from locals you meet at gas stations along the way. But, if talking to a stranger at a gas station freaks you out a bit (which, by all rights, it should), Whitley also suggests doing a bit of research before you hit the open road. 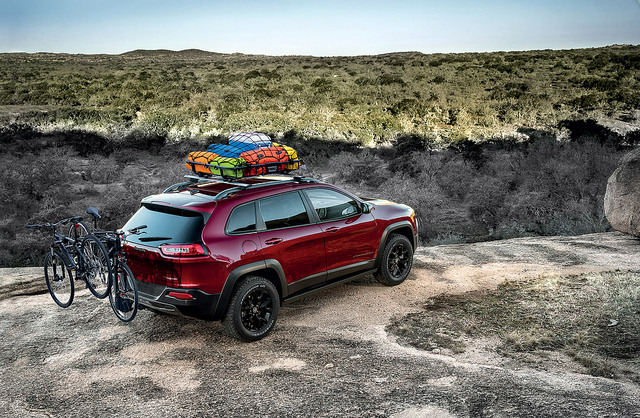 Now that you know where to stop on the way to where you want to go, it’s time to start packing the car for your next epic road trip.